I know how you feel when it comes to taking a decision whether to start working from home or start looking for jobs online. Online job opportunities are in millions on the web. But the obvious question is, how to find the right ones, how to find out if you can do the job and how to get past the scams and land the right opportunity. I have come across many who just define online work as to how much they want to earn. But there is much more to working online than just the income. To aim for a set amount of money, you need to think about many things like your experience, your choice of work, etc. When I started working, it was confusing for me to look for the right jobs. I did not even fully trust the first online work that I started till I got my first paycheck. From Medical coding to Blogging, there are many options for working at home. Finding legitimate work options online can be daunting, but if you have some checkpoints, then you are going to land with the right one. The first step in finding a remote job or online working gig starts with YOU. These are some of the pointers which might lead you to find the right job. The best thing about working online is, in some roles you do not need to have any particular expertise. You just learn things as you go. Job opportunities such as Search Engine Evaluation, Captioning, Website Testing, are some of the roles which you can start right away. Try to find what you can enjoy doing; that is the whole point. The second step in your job search, whether it is typing or writing or blogging you are good at, you have to see where you stand. Are you a novice or a pro? Asking this question can make many things clear like getting a rough idea of what you can expect in your job and the range of income you get. 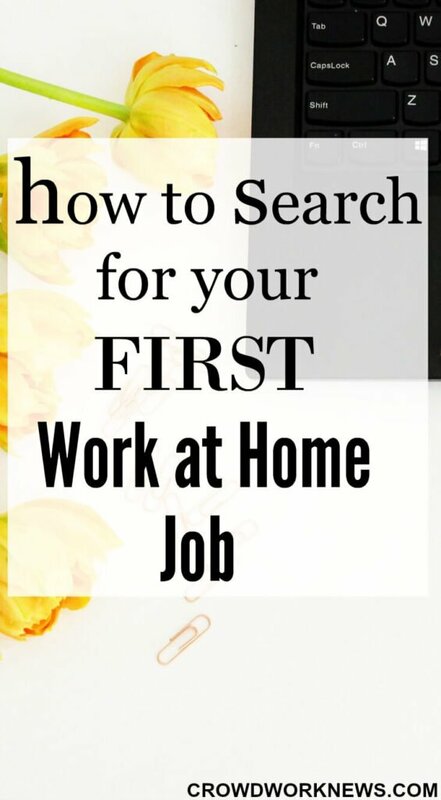 Even if this is your first work at home gig, if you had some experience regarding the role, it might help to get you a bigger income. In general, in any field, a beginner or a non-experienced person might not get much regarding money, but if you are interested in blogging, then there is an exception. Even the most newbie bloggers can make good money from their blogs if they follow the right strategies. It depends on what you choose to do and then you analyze at what level you are at to set your expectations. You also need to decide whether the job you are looking for is just a side hustle or something which you plan on doing your full-time remote work. I believe this is the hardest part. I had a very tough time to search for legitimate remote working options when I started. But even now, this is the burning question for all the aspiring home workers. Because the internet is full of scams, and for you to land the right job without the knowledge of the scams, it might take forever. Try researching the job opportunity thoroughly, if it is a business, see if it is listed in BBB. As a rule, never pay for a job beforehand unless it is an authentic job board with a monthly subscription. I would also suggest testing if the role pays you promptly. There are many authentic job boards like Problogger.net, FlexJobs.com, AuthenticJobs.com and even my Job Board, where legitimate jobs are listed. Some gigs may get listed in freelancing websites like Freelancer.com or Upwork. If you are looking for scam-free work-at-home jobs, then there is no better place than FlexJobs. This is the most authentic job board that lists remote jobs from all over the world. The jobs are thoroughly researched and totally legit. Get your FlexJobs subscription today! You can get the subscription up to 30% off with the promo code AFFILPROMO. You can find more job opportunities on Indeed. Searching for jobs online can become a tedious task if you don’t know which terms to use. Especially when it comes to work at home jobs, you need to input certain keywords to get best results. It is also important to use right search terms to get past the spammy results. Besides using key phrases like ‘work at home’ you can also try ‘remote’ ‘online work’ ‘freelance’ ‘online jobs’ ‘work from home’ ‘telecommute’ and more. Always investigate more if the job description says it’s an online biz because that is one term which spammers use most. That does not mean all online businesses are scams, just do your research to find out the authenticity. Not every online job is equal, and not all jobs pay the same. You have to assess what your income expectations are. It makes easy for you to search a job if you have your target income goal in your mind. Work opportunities like Virtual Assisting, Proofreading, Freelance Writing may pay more than others. But as I said, it all depends on you to decide what you want. I know many who do side gigs and make a healthy living. So it’s a decision between, doing a couple of gigs or just doing one job and reaching your financial goal. You have to go past the dodgy websites like the ones which ask for money, which ask for your personal information. There are many online jobs out there which promise insane amount of income in a very short time, believe me, most of them are scams. Working from home does not mean that you will get rich in overnight. It is the same hard work you put in to find a regular job. A registered business or work at home job website will usually have some social presence, and that is a good indication of the authenticity of the site. Work at home role or online job option might require a slightly different type of resume, so it would be advisable to prepare your resume accordingly. Meeting deadlines and keeping in contact with your counterparts in the job is vital in work at home role, as you don’t have typical desk job set up. Just keep these things in mind, and you will be on the path to find the right kind of opportunity to suit your requirements in best possible way and meet your financial needs. Always remember, it is not impossible to find legitimate options to work from home, it only requires some research and patience to look for the one you need.